A long-awaited bill by Sen. Michele Reagan aims to force independent expenditure campaigns to disclose the source of the anonymous “dark money” that has played an increasingly large role in Arizona’s elections. Faced with the threat of voters turning out in droves to rebuke them, Republican lawmakers who drafted and approved the election reform law HB2305 are preparing to repeal the controversial measure before the voters have a chance to repeal it themselves in the November election. Rather than fight the subpoena head on, attorney Kory Langhofer is trying another tack. Langhofer, who was tapped to defend former and current legislators from ACLU’s demand for their private communications, has opened up a line to the ACLU to negotiate the breadth of the subpoena, a legislative source told our reporter this morning. Republican leaders in both chambers of the Arizona Legislature are pushing legislation to pay for the legal fees of current and former lawmakers whose memos and letters have been subpoenaed by opponents of SB 1070. The Arizona Supreme Court on Tuesday will hear arguments on the injunction against higher new contribution limits approved by the Legislature. It ruling on the matter may well be the final word on how much money candidates can accept during the 2014 elections. A group that ran television ads attacking Attorney General Tom Horne apologized for falsely stating that he is still under investigation by the FBI. The apology was part of a settlement over a defamation lawsuit that Horne filed. 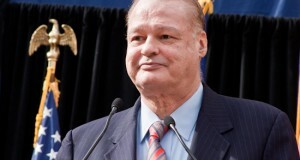 Attorney General Tom Horne is suing a conservative political group over wording in a television ad claiming that he is still under an investigation by the FBI. It’s common to see failed presidential candidates continue their fundraising pleas so they can pay down their campaign debt. Unfortunately for signature gatherers, attorneys and vendors, ballot measure campaigns don’t generally do the same thing. For all of the controversy during the last election over the influence of so-called dark money in politics, the Arizona State Legislature is unlikely to produce any laws on the subject this session. Moderate GOP precinct committeemen in Legislative District 25 and the Maricopa County Republican Committee settled a lawsuit today that alleged voter fraud in the district’s organizational elections in November.